When you talk about the best 4 burner grills, you are talking about doing some serious grilling. These types of units are perfect for when you have medium to large gathering of people that are looking to enjoy the taste of some outdoor grilled food. Now in this category, there are many models that are available on the market and choosing one can be a task if you don’t know what you are looking for as well as what your needs are. You first need to figure out how much you are willing to spend and what additional features that you must have. 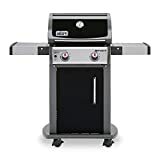 Luckily, we have reviewed all types of 4 burner grills and came up with a list of only the top best rated based on what customers have said about them and their experience with them. We hope these selections help you in deciding on which one to choose from. 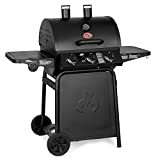 If you are looking to spark up the grill for a large gathering, then the Char-Broil Classic Gas Grill is the one the check out. It is a solid buy and has plenty of features. Key features include 48,000 BTU’s of heat with another 10,000 BTU’s on the side burner. There is 665 square inches of total cooking space. There are porcelain coated cast iron grates, stainless steel lid along with electronic ignition spark start. Another great unit that has a lot of space can be found in the Super Space 4 Burner Gas Grill. If you are into barbequing, then check this one out today. It features 60,000 BTU’s of heat along with a lidded side burner. There is 480 square inches of cooking space and another 180 for the secondary cooking area. More features include porcelain coated cast iron grates along with electronic ignition system for starting. Taking your grilling to the next level can be done with the Dyna-Glo Premium 4 Burner Gas Grill. If you are looking for a durable and high performance grill to be the center of your patio or deck, this one is it. It has 4 burners with 60,000 BTU’s of cooking power. The cooking space is 667 square inches and it has cast iron cooking grates along with two door cart with heavy duty casters.